Boost your productivity for free! SOLIDWORKS is the gift that keeps on giving! Some fantastic free tools from SOLIDWORKS explained in further detail below. As an engineer or designer, software typically comes with a cost—either in terms of the actual cost of buying it or in terms of the time investment you must make in order to successfully deploy it and integrate it into your product development processes. Did you know, however, that there are some very useful SOLIDWORKS tools that cost you absolutely nothing beyond creating an account? There’s even more good news. In addition to not being budget-busting, these tools are also easy to learn and use, while also providing you with some pretty significant productivity boosts. So without further delay, let’s take a look at some of these SOLIDWORKS freebies available today that can help you be more productive. 1. User Forums. What do you do when you encounter an issue or hit a roadblock to design productivity? Ask a co-worker, right? Well now you don’t have to bother anyone to find answers to all of your SOLIDWORKS questions. SOLIDWORKS user forums offer an endless source of information and tips and tricks from fellow users and peers. 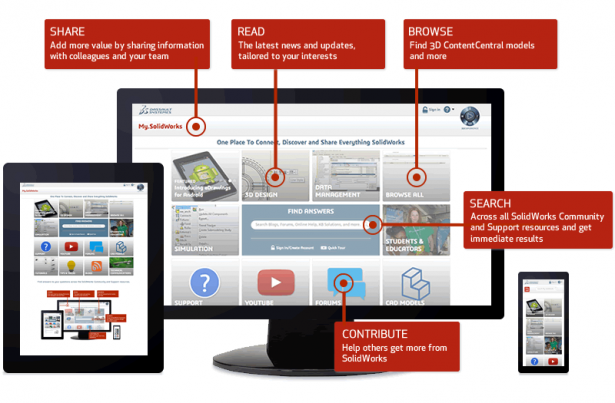 Log on and ask questions about SOLIDWORKS; share content, exchange ideas and best practices; and build connections. Get started and in less than a few minutes you’ll be on your way to accessing this incredible resource that’s packed with knowledge and time-tested advice from thousands of talented SOLIDWORKS users. 2. MySolidWorks. MySolidWorks is the online hub for over a million SOLIDWORKS users worldwide and tens of thousands of users use it every day to learn something new about SOLIDWORKS, to connect with the SOLIDWORKS community, or better prepare for their certification exams. Fun fact: since introducing the CSWA program on MySolidWorks, users who completed the preparation course have experienced a 20 percent greater success rate of passing the exam on their first try than those who have not reviewed the preparation materials. You can also explore over 700 SOLIDWORKS online product tutorials in a wide range of topics and releases, and evaluate SOLIDWORKS products with MySolidWorks Online Product Trials from any tablet, PC, or Mac. As a bonus, now through December 30th, get a free-one-year subscription to MySolidWorks when you purchase SOLIDWORKS with subscription. 3. eDrawings. With this free tool, users can send 2D and 3D design data created in most of the widely used CAD systems in a lightweight file via email and collaborate on designs with anyone with a PC or Mac. Recipients don’t need to own or even know how to use CAD. Using eDrawing’s collaboration features, recipients can view 3D models and drawings as well as rotate, hide, or move parts in 3D assemblies. Users can also measure, mark up and create cross sections, not just on flat 2D drawings, but also on 3D parts and assemblies. Using Augmented Reality, eDrawings Mobile allows users to view designs and concepts in the context of the real world. Understand the impact of the environment on your design choices, communicate more clearly and enable your customers to understand the value of your designs throughout the product development process. Download eDrawings for free here. 4. DraftSight. Ever worry about how to work with your legacy 2D drawings once you’ve moved your designs to 3D? Worry no longer. 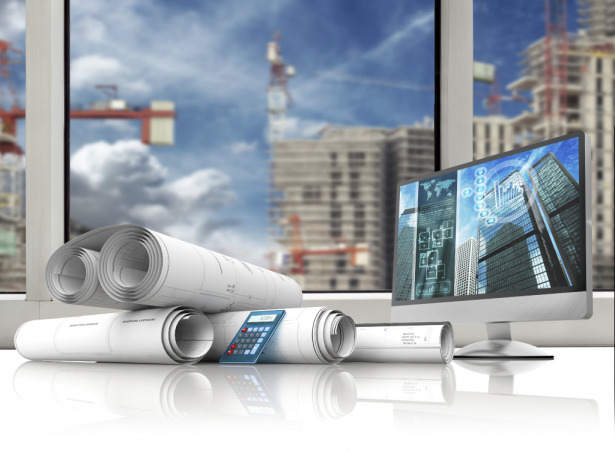 You can download free professional 2D CAD software called DraftSight that will provide you with the tools needed to create, update and view native DWG files. The software runs on Windows, Mac and Linux. The latest version, DraftSight 2017 introduces increased efficiency, smarter dimensioning capabilities, improved drawing quality, new interoperability tools like DGN import, and more than 200 user-requested enhancements. Download this free 2D CAD software here. If you’re a current user of 2D CAD and interested in giving SOLIDWORKS 3D CAD a try, you can give it a free test-drive by signing up here. 5. 3D ContentCentral. Need a 3D CAD model of an industrial component that you are using in your design? Don’t spend time modeling a component that can be downloaded from 3D ContentCentral. This free resource, 3D ContentCentral, is the place where an active community of over 1.5 million engineers and CAD designers can locate, configure, and download CAD models of supplier-certified and user-contributed components in more than 30 CAD formats in 2D and 3D. Finding a CAD model that fits your requirements is quick and easy with 3D ContentCentral’s powerful search engine. 3D ContentCentral contains almost 900 supplier catalogs and an extensive library of user-contributed content with more than 300,000 models. Sign up now and see how much time you could be saving.